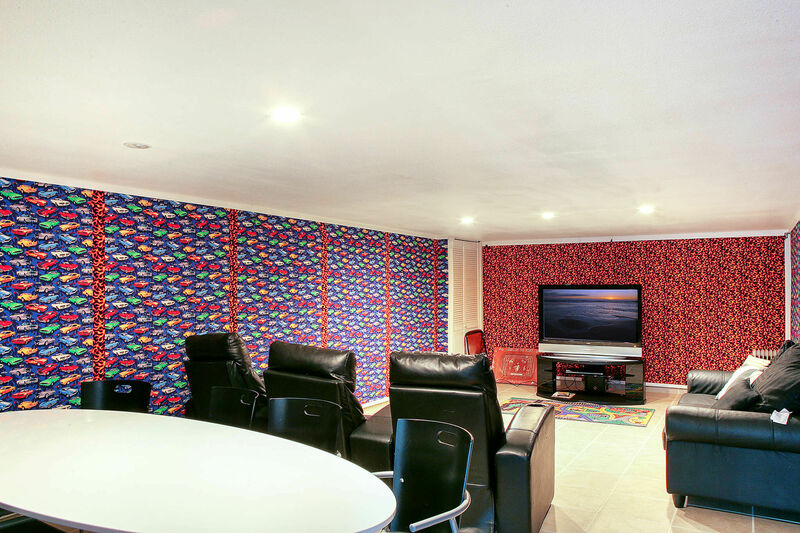 OK it is not your usual vacation rental. But it is a high quality experience and way out of the ordinary than Route 66 might be just the ticket. And I don’t mean traffic ticket. 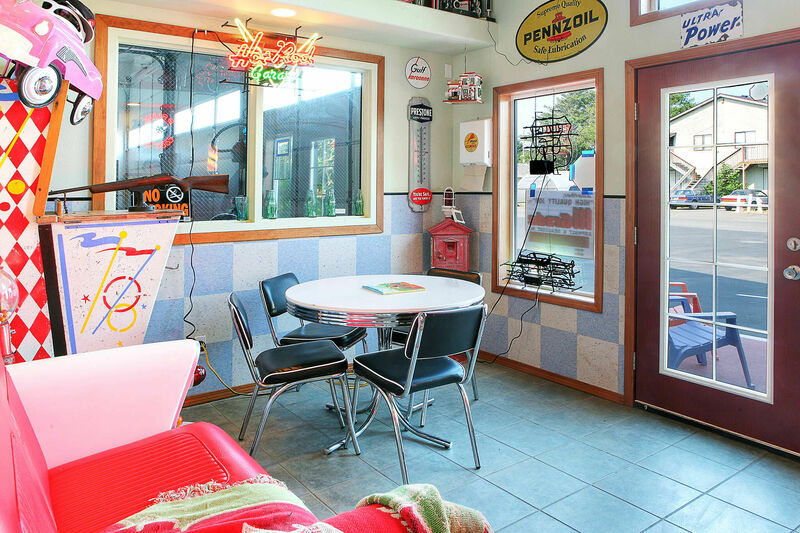 Route 66 is a clean-as-a-tack garage, complete with classic vintage cars, pin ball machines and the soda fountain type décor. The bright bold colors will send you back to when the radio played records, the drive-in restaurants had waitresses on roller skates and Elvis ruled the dance hall. 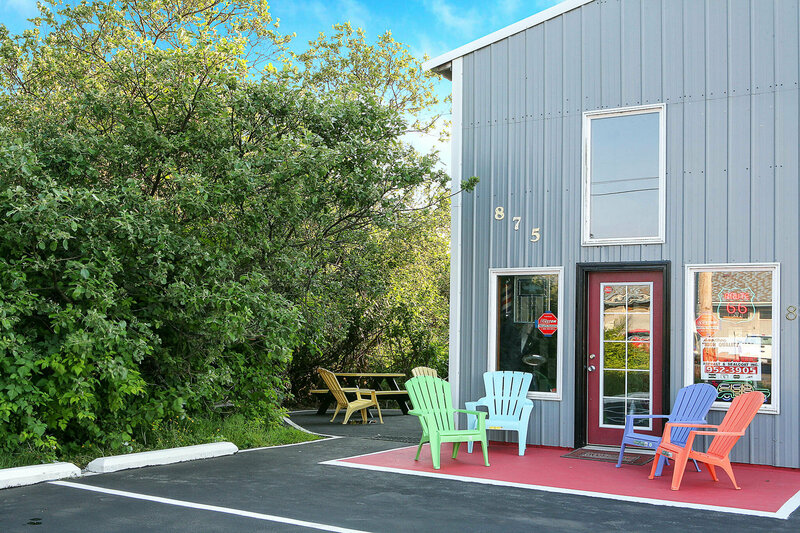 Great care has been taken in the design and build-out of this comfy rental in the heart of Ocean Shore. The owners have used their unique perspective to build a truly one of a kind vacation experience. The home has four bedrooms which sleep up to 10 people. You can sleep in the three queen beds and the kids will love the bunk. They come complete with quality linens and a washer dryer of course. 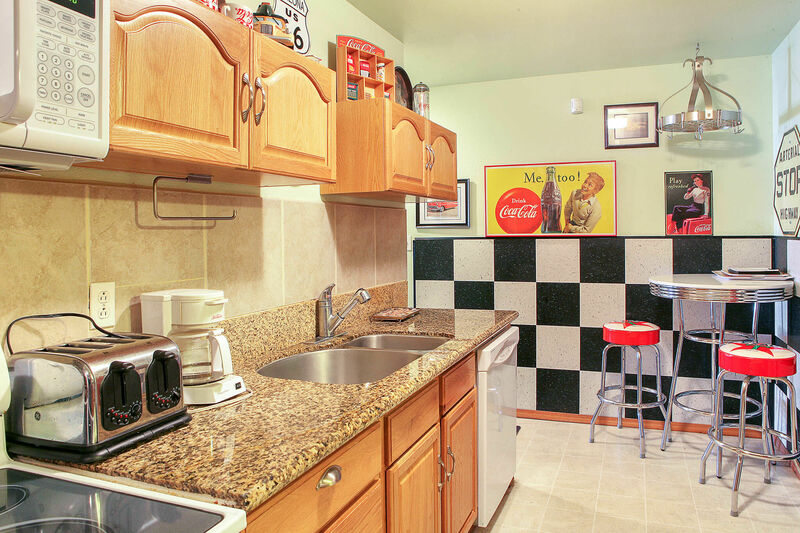 There are one and a half baths and a full kitchen that comes complete with all the pots, pans and dinner ware. This baby is really tricked out (As they used to say in the 50’s). In addition to the car collection, there are arcade style video games, lighted car art displays and even bright red coke machines. Why, if you are old enough to remember you’ll feel like you’ve been in a time machine transported back to the era of sock hops. You can even play the “hits” on the juke box. 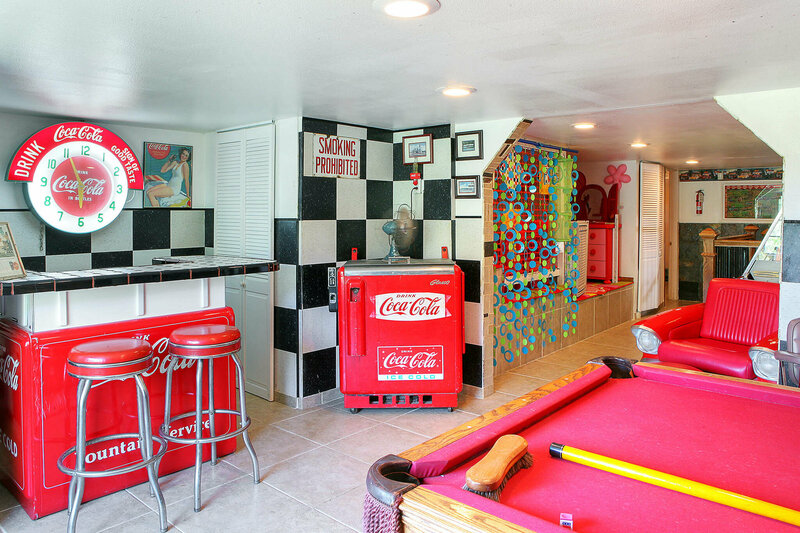 For more fun there is a pinball game, wall games and even a hot tub. You can’t drive the cars of course, but there is a peek-a-book window so you can ogle them at your leisure. Or rent some old videos and pop them into the DVD for viewing on the huge 47” Television. Ocean shores is a great area and you’ll love the beach and activities. 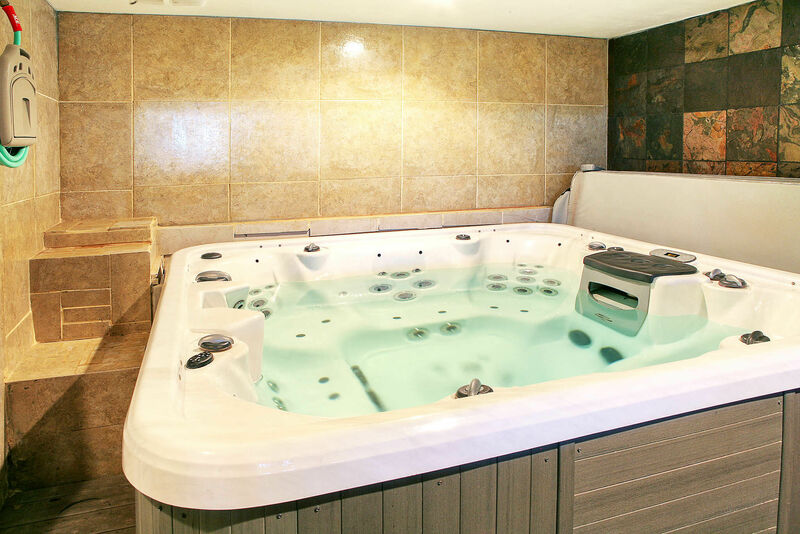 And for that added touch, for that something special and to make your trip extra special and one you’ll never forget rent the Route66 vacation rental. Only available here.